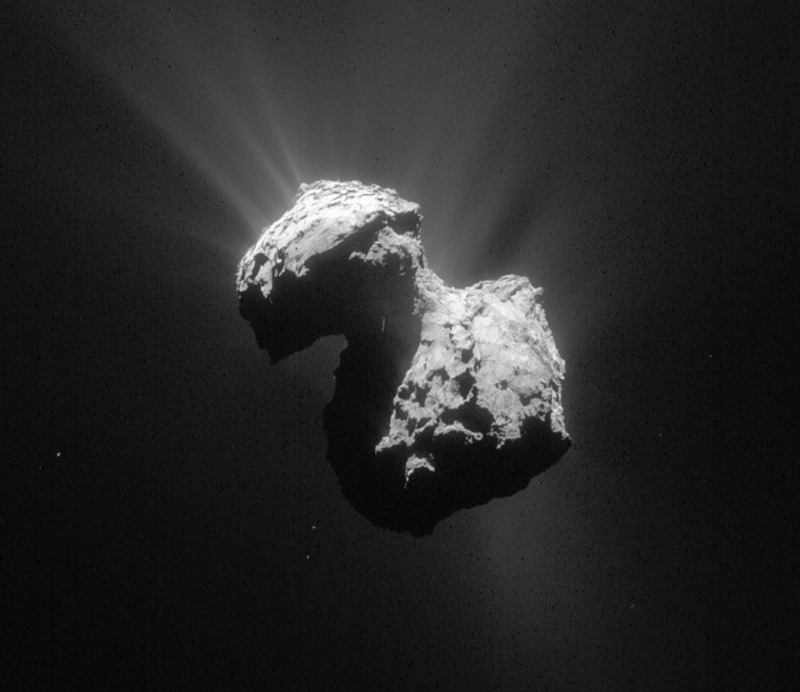 Read more about these findings and how they were determined on ESA’s Rosetta site here. …interesting new facts. This collision really had to be slow, not to destroy the two objects to much, I think, would be fine if we could reconstruct this collision somehow.